Iranian American Parents Association presents the 15th Bi-Annual NowRuz Festival . We honor Sheriff Lee Baca, County of Los Angeles, IAPA 2010 Humanitarian Award Recipient. Music & Entertainment by: Sattar, Morteza, Farshid Amin, Shahla Dorriz Couture Fashion Show, Djanbazian Dance Company, Persian Baazar, Dinner by Bahador Catering. To reserve your booth, please email at info@IAPABH.org. info: 310-358-3337 . All the proceeds from the IAPA events will be donated to The LA County Foster Home Program, The Beverly Hills Unified School District and The Maple Counseling Center. 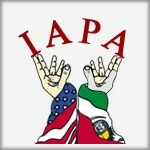 The Iranian American Parents Association (IAPA) was formed in 1994 and has rapidly grown to encompass parents from all five Beverly Hills schools. A board of directors, consisting of active parents, has been formed to forward the organization’s objectives.